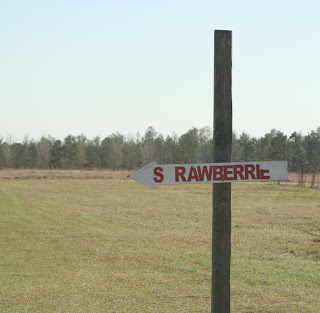 With springtime in the air, we decided to pack up and make the hour drive to King's Orchard to pick some fresh strawberries. 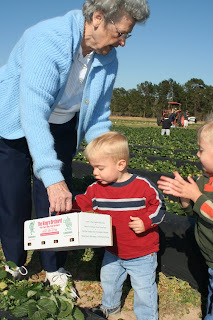 Busha joined in on the fun and we were so thankful to have her help! 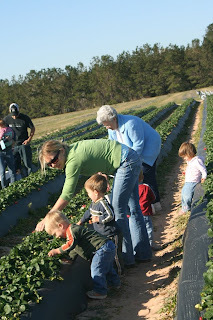 It was fun to see the different personalities coming out as we tried to get the kids to pick the strawberries to take home with us. 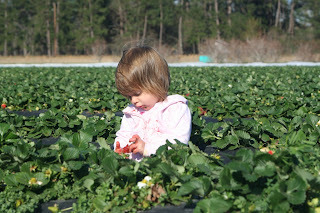 Sophia went right for the berries but was very hesitant to give any up. She decided dining on her picks and making the biggest mess of her clothes and ours as well would be a better idea than collecting them. 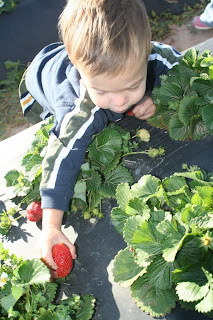 Noah would gladly pick the leaves and the flowers and dutifully deliver them to Busha's strawberry bin. 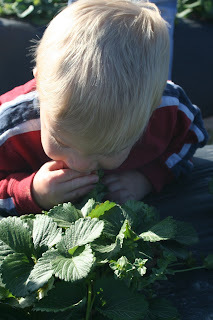 It wasn't long until he figured out that the strawberries tasted delicious and he would nibble them straight from the vine like a little bunny rabbit. 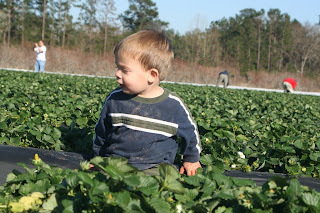 Finn would squeeze the berries in his hands, seeing if he could destroy them and watch the juice run everywhere. At one point, he was trying to see if he could pick the entire plant with his might. 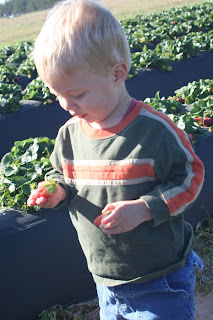 Cohen was our little helper and would hunt for the ripest berries, pick them and plop them straight into the bucket. When it was all said and done, I don't think there was an ounce of strawberry juice on that boy. What a joy to see just how unique they all are! Finn Finds A Good One! How fun! 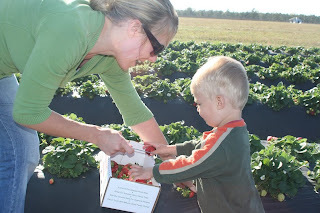 We love locally grow fruits and veggies! Love the pictures. What cute pictures! Those strawberries look so good! What a fun way to spend some family time! 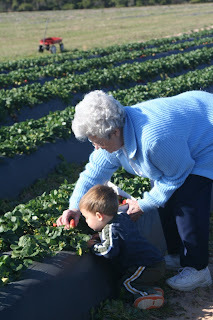 I love to go out to the Orchard - it is a fun place. Jesus did say we would know them by their "fruits" - OK, very loose paraphrase-but I enjoyed reading about each of their unique styles. Happy Anniversary Mari and Chris, and Happy 18 months kiddos - much love to all of you. oh, adorable. I'm a lot jealous though, since we're still under 2 ft of snow in MN! What fun! ANd those berries look delicious! I would have eaten them off the vine too! 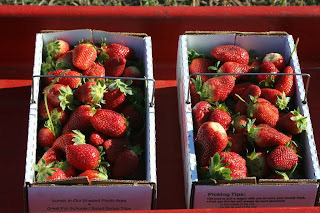 Those are some good pickin's! What a fun thing to do with the kids. 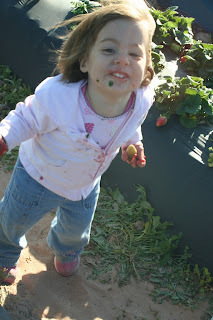 Love the pictures...especially Miss Sophia and that cute little face of hers covered in berries. Love how they are all different (like Suz said) that is cool isn't it? Oh looks like they had fun! We went today... They LOVED it. Girl Scouts - Friend or Foe?